Our three Florida state licensed chiropractors; Dr. Ross Batiste, Dr. Patricia Snair and Dr. Molly Letourneau work together to provide you and your family with outstanding wellness and chiropractic care. Our licensed massage therapists, Ariya Coppock and DC Mead provide both relaxation and therapeutic massage. Dr. Ross graduated from Marshall University in 2010 where he studied Psychology and Exercise Physiology. He earned his Doctorate of Chiropractic from Palmer College of Chiropractic (Florida campus) in 2014. Dr. Ross separates himself from other chiropractors by his thorough exam and ability to perform a broad range of therapeutic procedures. 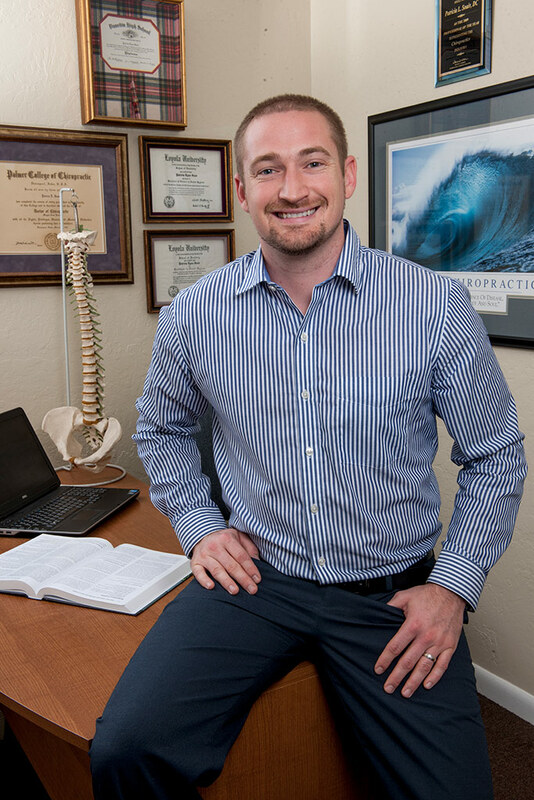 He is also a Certified Medical Examiner (CME) which allows him to perform Department of Transportation (DOT) physicals; Dr. Ross is one of the few chiropractic physicians who have passed the rigorous examination process in order to be certified. Ever interested in the inner workings of the human body, chiropractic seemed to be a natural fit for Dr. Ross. His focuses on exercise, proper nutrition, and healthy supplementation have allowed him to provide well-rounded healthcare for all patients. During his education at Palmer College of Chiropractic, Dr. Ross extended his knowledge of health and wellness by studying Traditional Chinese Medicine and is certified in Acupuncture. He also received a Fascial Movement Taping I & II certification through Rock Tape in 2014, allowing him to stabilize, support, and enhance the musculoskeletal aspect of the human body. When Dr. Ross isn’t in the office, he enjoys cooking with his wife Amy and playing with his two kids, Savannah and Joe. Dr. Pat is one of the longest practicing licensed chiropractors in Dunedin. She has been providing comprehensive chiropractic care and wellness services to patients locally since graduating from Palmer College of Chiropractic in 1981. Her longstanding view is that chiropractic is health care, not disease care. Back N’ Balance takes a look at the individual as a whole and offers comprehensive wellness programs that are designed specifically for each patient’s needs to achieve and maintain vibrant good health. Dr. Pat is active in many professional and community associations. She takes pride in conducting annual sports physicals for students of her alma maters, Dunedin Highlands Middle School and Dunedin High School. Donating proceeds back to the Athletic Departments is her way of giving back to the community. Her hobbies include bagpipes, sailing and shell collecting. Dr. Molly graduated from Loyola University Chicago in 2011 where she studied Biochemistry and Psychology. She earned her Doctorate of Chiropractic from Palmer College of Chiropractic (Florida campus) in 2018. Dr. Molly separates herself from other Chiropractic Physicians in that she can perform a thorough exam and utilizes numerous therapeutic procedures. In addition to these tools, Dr. Molly is in the process of completing the Diplomate with American Board of Chiropractic Internists (DABCI), which enhances her ability to properly diagnose and treat internal disorder cases. Knowing she wanted to make a lasting difference in people’s lives, Dr. Molly has been working for and shadowing chiropractors long before she attended school. She also specializes in internal disorders, proper supplementation, and soft tissue injuries. Dr. Molly received her Instrument Assisted Soft Tissue Modality Certification through Smart Tools in 2016 and her Functional Movement Certification through RockTape in 2015. When out of the office, she enjoys spending time at the beach and attending local food festivals. Dr. Molly is very excited to be a part of Back N’ Balance and happy to accept patients of all ages. Bobbie has been employed with Back N’ Balance since October 2017. Prior to her time in our clinic, she had 12 years of experience as both an office administrator and registered chiropractic assistant. Eager to learn, Bobbie has completed the CCPA program through Cleveland Chiropractic College and Life Chiropractic College. 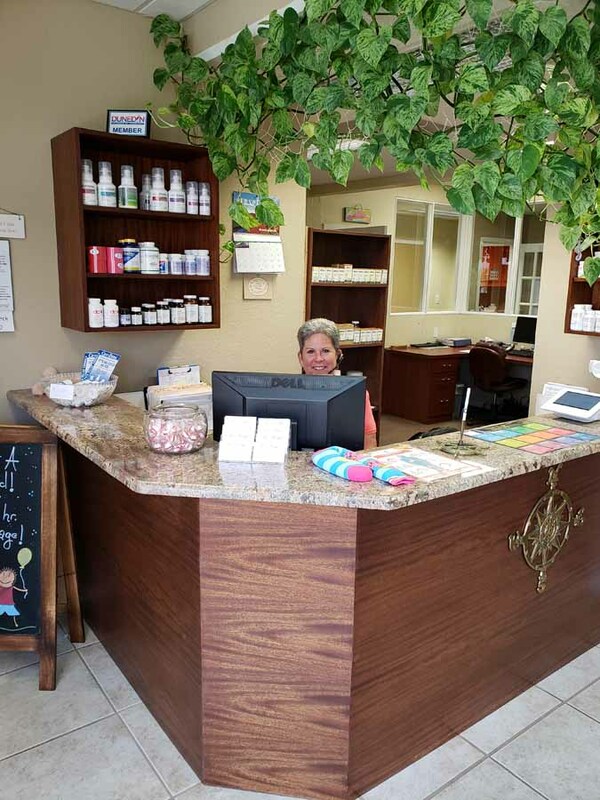 She is an expert at maintaining office flow and a friendly face upon entry into our clinic. Outside of the office, she enjoys camping, kayaking, and spending time with her husband, Bob. Ariya is a long-time resident of the Tampa Bay Area. She graduated in December 2009 from the Cortiva Institute for Massage Therapy located in Pinellas Park. Her passion for massage therapy started as a young child giving massages to her Asian grandmother as part of their culture. It gave her grandmother great comfort and Ariya realized she enjoyed making others feel better so chose this as her career. She offers both therapeutic and relaxation massage. Her goal is to provide her clients with the highest quality of massage to preserve and improve the whole being which will supply an unquestionable dynamic metamorphosis- MIND, BODY, and SOUL! A rare native to Pinellas County, both born and raised, DC describes herself as a very down to earth person, with just a touch of silly. Although she grew up in the city, she’s always felt drawn to nature and serenity. Her passions include a love of nature and making others feel good and believes the combination of those led her on the path to becoming a massage therapist so she could help others in a natural way. Her aspiration is to continue learning new ways to help others feel better in their journey to life. 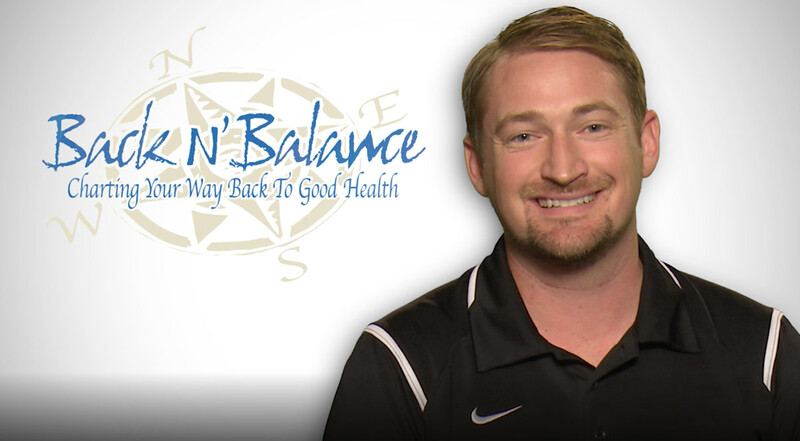 If you’re looking for a team of licensed chiropractors and massage therapists whose goal is to help you with total body health and wellness, call Back N’ Balance today for your initial evaluation.